"SIF "VOLZ" LLC provides domain registration of highest quality. Domain is a part of a range of hierarchy names on the Internet, that are maintained through domain name servers (DNS) and are administered centrally. The quantity of top level domains is artificially limited. 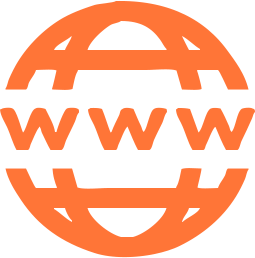 Any new TLD must be introduced by an international organisation – ICANN. Top level domains are are split in three categories - general use (.com, .net, .org), national (.ua, .ru), and special use (.gov for governmental organisations, .edu for educational ones, etc). Virtually anyone can request registration of a second level domain in national and general TLDs. This registration in general domains is then carried out by commercial partners, accredited by ICANN, called registrars. Registration under national domains is controlled by national governments and is implemented by dedicated organisations – in Ukraine, for instance, TOV “HostMaster”. What are the advantages of registering an SLD? For a small fee the holder of the newly-registered domain is able to control the routing of this domain, either to a computer or a website, among other benefits, for a set period of time (usually 1 year). For a website to be successful and marketable it is essential that a domain address is logical and suitable for any given enterprise. Moreover, owner (admin) of a second level domain is able to independently register further levels within that address. How are domain name ownership disputes regulated? Legally, domain name is not in the ownership of the admin, but is rather leased (delegated) to them. Further information on the topic of domain name disputes and the law regulating this is available on a separate page. For regulation on registration of lower level domain names in public second level domains click here. Base Agreement for domain services is available here. Who are you registering your domains to? Our service ensures the client is the registered owner (admin) of chosen domain(s). When registering online and enquiring with us you must fill out all the required fields (contact person, address, telephone number, fax, e-mail..) and tell us which domain name you require. This is the information that will be used when registering the domain administrator. Immediately after successful registration you will have control over the domain name. Terms “registrar” and “contact person” imply collection of the information provided and sharing of it with the Registrar of top level domains as per regulatory requirements. Data, that identifies the client, is available in public following domain registration and can be seen online through the who is register, in particular. All data not required by the register, such as terms of service, price and internal authorization data, is kept private. How long will domain registration take? Assuming all information provided by the client is correct and sufficient, domain will be registered in less than 24 hours after payment completion. Another 24 hours or so is needed to distribute new information about your new domain name to all domain name servers. Can I register a domain name with you and control it through someone else? Domain is identified through a domain name. In our case, we will call second (sometimes third) level domains, which are registered through accredited registrars. Examples of such domains are ldc.net (SLD) and volz.ua (third level). Sub-domain – lower level domain than that which requires accredited registration that can only be accessed through the registered one. NS – name server. This is a server that keeps data associated with a given domain, essentially maintaining its operation. 1) Domain registration. This is for domains that are previously unregistered. 2) Name transfer. This is to transfer all the data associated with a given domain to our NS’ from those of previous provider. Our name servers are capable of holding domains of all types. 3) Part-registration. This is for clients who already have a domain name registered and hosted but need our servers for websites and electronic mail boxes. Furthermore, we can carry out zoning on our NS. Such advanced service needs to be arranged manually through emailing our support team at hostmaster@volz.ua. 4) Sub-domain service. This has to be arranged manually. WARNING! WE DO NOT RECOMMEND TO DO YOURSELF SETTINGS OF THE DOMAIN!! What is a domain transfer and when is it carried out? Domain transfer is needed when you require your website or other domain-hosted services to be moved from one registrar to another. For a transfer to be successful the client must change certain fields in domain data in order for all services to work correctly. 1. Order this service through online filling form or by calling (044)247–40–04. 2. Sign the service agreement. You must provide us with required forms from your previous provider. 3. Complete the payment as per agreement. •The domain in the area .COM.UA, .KIEV.UA, .ORG.UA .NET.UA or to transfer such domain should notify us your current registrar and the desire to transfer the domain to service the company OOO 'Research and Production Company 'Volz' (ID rayestratora UA.VOLZ). All further procedures we will take. • UA domain in the area should be given a copy of the certificate on trademark (TM), sent by fax (044)247-40-09 or e-mail hostmaster@volz.ua copy of the certificate on which will the registration domain. The administrator and the registry operator do not bear responsibility for the consequences of using or misusing domain names of registrants, including to third parties, as well as about violation by registrants of any rights of third parties. • Domain in the zone. COM, .ORG, .NET, .BI or .INFO. In the case of this zone, the situation is slightly more complicated. In general, for technical transfer, you must again ask the old provider to change the ns-server of your domain to ns.ldc.net (213.160.128.3) and ns2.ldc.net (213.160.134.23). However, some companies that offer hosting services do not make changes to records about ns-servers in domains coming from them. And the domain will need to be continued, and for this it is necessary to transfer the domain to our registrar. Transfer domain is free procedure, however, the domain transfer automatically extended for one year will cost according to tariffs. Possible free shuttle domain if your tariff plan provides bonus free domain registration. Before you transfer a domain, make sure that you have access to the mailbox mentioned as an e-mail address of the owner of the domain. To activate the transfer procedure you should write us a letter asking for hostmaster@volz.ua start the transfer. Our registrar will send you a letter asking you to verify domain transfer, you must follow the instructions in the letter to confirm the transfer of the domain. If everything is in order, then after 4-5 days the domain will be transferred to our registrar under our control. Transfer domain can not be done for domains that have been registered or renewed at least 60 days ago. Also recommended to transfer not later than one month before the expiration of the domain registration. If you utrudnyayetesya in choosing the right option or if you do not have time to have to deal with all this, email us at hostmaster@volz.ua, we will be happy to help and explain all the details specific to your domain. If I had recorded the domain ? If you are involved in domain registration and now have full access to the domain name registrar, you just need to change your domain records ns-servers and ns.ldc.net ns2.ldc.net (if necessary instructions IP addresses ns-servers and enter 213.160.134.23 213.160.128.3 respectively). How long does the process of transfer? All necessary steps are usually carried out for 2-3 days. How long will my site be available when transferring the domain? If no unforeseen complications arise from the registrar and (or) your old hosting, domain transfer process is carried out transparently, ie unnoticed by visitors to your site which will be available continuously. If you do not find an answer to the question that interests you. It is necessary to turn to round the clock technical support by phone. (044)247-40-08 or send mail support@volz.ua.